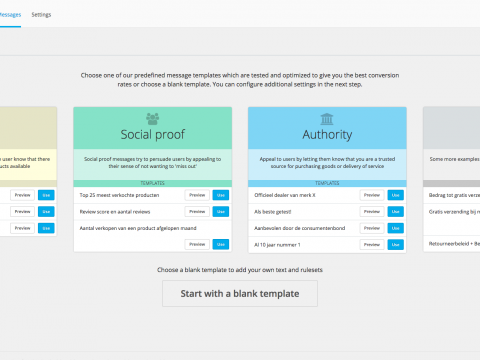 Conversify increase your sales through persuasive messages. 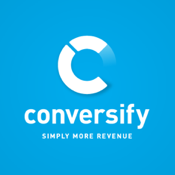 You will achieve higher conversions across your entire website without any technical knowledge. The tool should be seen as a virtual shop assistant who knows exactly what the customer should hear to convince him or her, at what time and in what place. We influence the visitors behaviour through persuasive messages. Major websites like Booking.com and Easyjet.com have used these effective small popups for years with great success. Our library of messages allows you to setup these kind of messages based on best practice and specific characteristics of your webshop. Our app shows the messages to the right visitors at the right time. See the screenshots for examples, or check out our website for more examples. 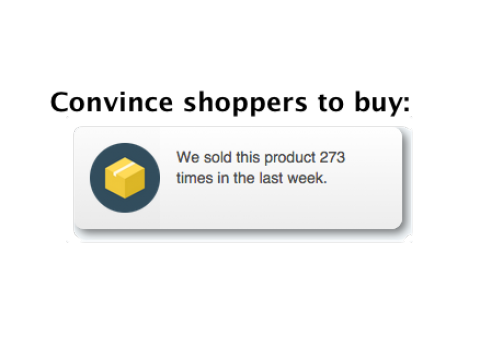 You can think of messages like: "We have sold this product already 226 times this month" or "yourwebsite.com is rated with an 8.9 out of 300 reviews". With our intelligent and self learning algorithms, we know what works for which customer (yes, that’s right: we optimize per customer!) at what time. We use proven persuasion techniques to convince the shopper to buy your product. We immediately start analyzing your customers when we receive data from your site. Our data scientists are using the latest techniques in big data analysis & machine learning. These algorithms are looking real time at your data and are trying to see patterns amongst your visitors to gain insight in what could be potential revenue uplifts for you. More specifically, they try to cluster your customers in different groups. Our promise: simply more revenue without any technical knowledge and low effort, and that’s what we do. Free 30 day trial. After 30 days we now offer a monthly 10% lifetime discount. Up to 50.000 pageviews you now pay 44,95/month instead of 49,95!